Glamour styled in Hollywood. For a carefree summer. Which is your favorite? Curly top Cleo? Lady Bird? Bubble? Larger images below. 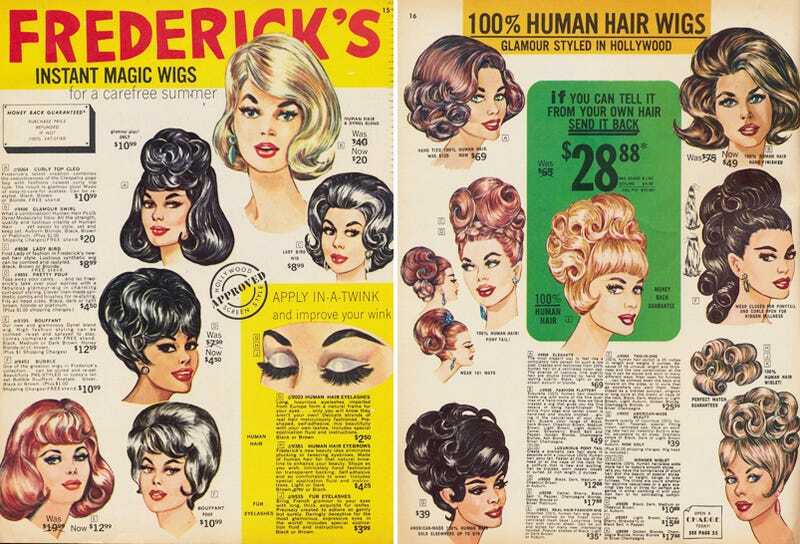 From the 1966 Frederick's of Hollywood catalog, as seen on Flickr. For more Let's Shop, click here.